Last month we talked about the importance of style when choosing outdoor patio furniture, Casual Outdoor Dining or Relaxing Retreat. Now, let’s take a closer look at the individual materials used to make quality outdoor furniture. Knowing the pros and cons of specific manufacturing materials can help you choose the best patio furniture for your home. Part of the fun in choosing new patio furniture is browsing new color palettes and fresh summer designs. Understanding a few common fabric industry terms can make a difference in the long-term appearance of your outdoor cushions and throw pillows. 100% acrylic fabrics are water resistant, making them ideal for outdoor use. Each strand is individually dyed before woven into a bolt of cloth. This process allows the colors to stay truer for longer periods of time – even in direct sunlight. However, this process also means that you may not see as many bright and intricate patterns with these types of fabrics. Spun polyester fabrics often use a screen-printing process. The colors and patterns are printed directly onto the fabric after it has already been woven into large bolts. This process offers you brighter colors and more designs, but spun polyester tends to fade faster in the sun than acrylic fabric. Spun polyester fabrics are still an excellent option if you plan to use your patio furniture in shadier areas such as on a covered porch. Cushions and pillows made from acrylic or spun polyester fabrics should be properly stored during the winter months to ensure longer wear. Since they are both synthetic fabrics, they should also never be dry-cleaned or tumbled dry – even on a low setting. Always remember to follow manufacturers cleaning instructions for your outdoor fabrics. You may not see it or even pay much attention to it, but the quality of the foam that fills your outdoor cushions and pillows is the next item you should consider when choosing your patio furniture. Regular foam is the same type found in your indoor furniture. It can be used for your outdoor furniture as well, but only if you take certain precautions when it comes to water. Regular foam, even when paired with waterproofed fabric, can and will get wet if left outside. Over time, water trapped inside the foam can mold your fabrics. Regular foam is best used for outdoor furniture that will be well protected from unexpected summer showers. Foam made for outdoor use is specifically designed to dry quickly and resist mold. Special air holes inside the foam allow water to run out and not pool inside the cushion. This type of foam can be more expensive, but may be a better option if you plan to leave your outside cushions unattended. 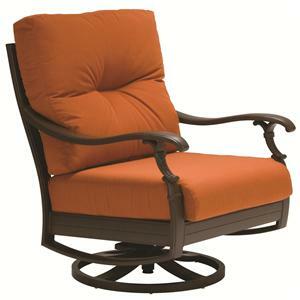 Quality outdoor furniture can be made out of most any type of natural or manmade material. Plastic, wood, wicker and metal are the most common. For many homeowners, budget and personal style play more of a role when making final buying decisions. Plastic is an excellent choice if you are shopping on a budget. Plastic is highly portable and a snap to clean. The only downside is plastic may not maintain its appearance, or last as long as other more expensive options. Wood gives outdoor furniture a classic, warm feeling. Teak, pine, cedar, eucalyptus, or redwood are all excellent choices when shopping for quality outdoor furniture. Hardwoods such as teak tend to last longer than other types of wood furniture. Treating your wood outdoor furniture with oils or sealants can help increase its lifespan, so you can enjoy your furniture for years to come. Wicker is always a beautiful option when choosing outdoor furniture and can be made from natural or synthetic materials. When choosing natural wicker, look for cane, rattan, or bamboo. Wicker gives your outdoor entertaining a cozy or rustic look. Metal furniture is often made from wrought iron or aluminum. 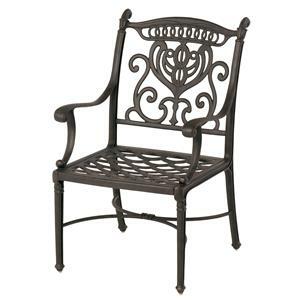 Wrought iron is best for formal or classic settings, and is a great choice if durability is important. Like wrought iron, aluminum is also very durable. Aluminum furniture is more expensive than wrought iron, but requires less maintenance and will not rust. At Hennen Furniture, our sales representatives are outdoor furniture experts. Our sales reps are here to help you with your questions and concerns and can offer suggestions based on where and how you want to use your new outdoor furniture. At Hennen’s, we carry all your favorite patio furniture brands including Woodward, Homecrest, Tropitone, Breezesta, and Seaside Casual. Come see our huge patio store! You’ll be glad you did! 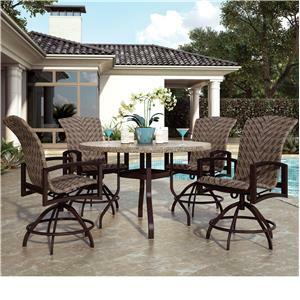 See also more and compare for best prices deals for Patio Furniture here! Nice info! Keep sharing great tips.